We are always in need of plastic grocery bags. 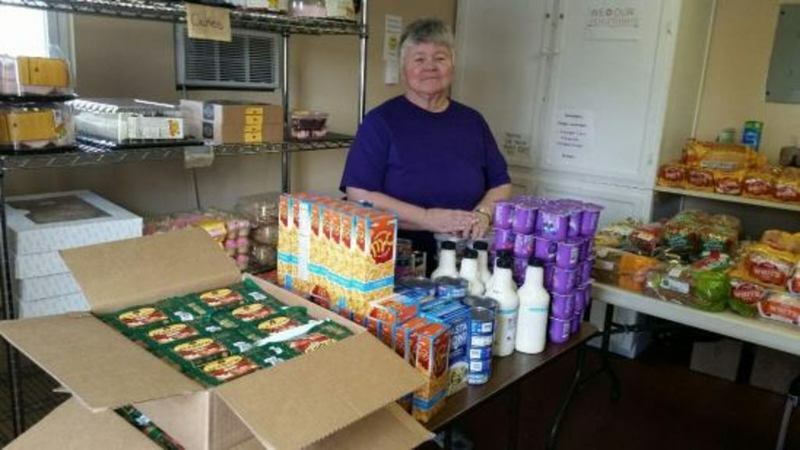 Delaware Church of Christ in Christian Union has operated a food pantry ministry for several years. On Tuesdays and Fridays from 1:00 -2:00 pm our volunteers hand out day old bread and pastries and desserts that have been donated by local grocery stores. In addition sometimes the stores will donate fresh produce and other items. In the case of emergencies, the food pantry also has food boxes available, which contain staple items such as macaroni & cheese, spaghetti & sauce, etc. For more information or to arrange for a food box, call the church office (740-369-4943). Boxes may not be requested more often than every three months. No appointment is necessary to receive the food items on Tuesdays and Fridays. It is distributed on a first come first served basis.